Poster Artplay | Robert Mitchell Jr. Yesterday I felt like drawing instead of writing, which means you get to look at pictures. I’m making this 11″ x 17″ monstrosity to hang in my workout room, just for me, just because. But when I’m done I’ll put up the scan so that (if you like it of course) you can print one for yourself. 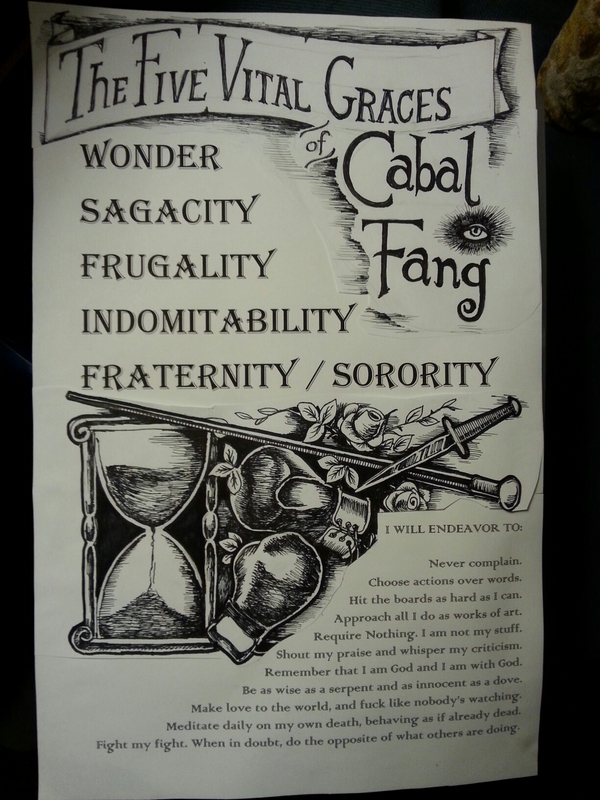 This entry was posted in Martial arts, Writing and tagged cabal fang. Bookmark the permalink. Pingback: The Finished Poster | Robert Mitchell Jr.